Youth development in English football lags behind world champions Germany, Premier League chief executive Richard Scudamore has admitted. Germany reformed their football system after finishing bottom of Group A at Euro 2000 and the move paid off as they beat Argentina 1-0 to win the 2014 World Cup in Brazil. Speaking to German newspaper Bild am Sonntag, Scudamore said: "Germany has done a great deal for the development of young players since 2001 and we're still lagging behind." Chelsea's Andre Schurrle and Mario Gotze - who scored the extra-time winner in the final - are products of Germany's new system. 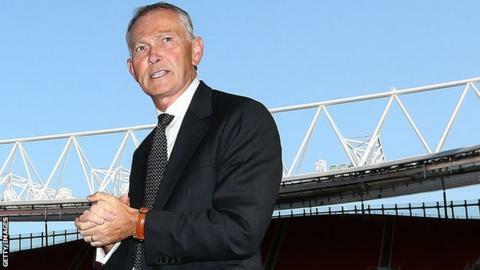 Scudamore added: "The quote from [Germany coach Joachim] Low that winning the World Cup title was only made possible by the reform of German football and hard work is something we in England have got to remember." However, Scudamore maintains that the English top flight is still the most attractive league in Europe. "We've simply got more clubs who have greater financial potential to compete with the biggest European teams when it comes to buying the best talent," he said. Read more on Germany win World Cup 2014 - now are they set to rule?